Mysterious calamities continue to befall the orchestra’s performances. Does a mysterious phantom haunt Chenery Auditorium? 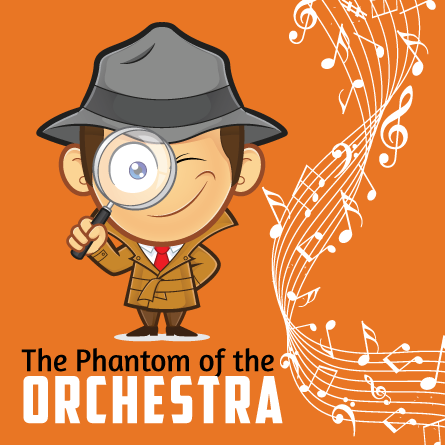 Join Inspector Jones on an orchestral adventure for all ages as he uncovers a diabolical scheme to silence the orchestra once and for all.